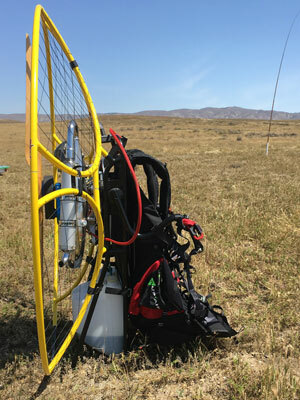 The Low-Hangpoint Harness and ABM Arms designed by Per Il Volo (Miniplane Paramotor) in Italy is a unique paramotor harness system allowing the use of weight-shift (seat steering) during flight. Free flight pilots will appreciate not only this feature, but also the lower hangpoint of the carabiners, giving their head much more space away from the risers during kiting and launch. We will be adding more information about assembling the Harness to the Frame here as soon as we have pictures and perhaps a video to post. Meanwhile, please work with your trusted Minari Dealer to assemble and adjust your new Minari Harness. Minari - A very large harness with minimal padding for large pilots. Miniplane - This harness is standard on this machine. Apco - Optional harness with increased padding. Dudek - Optional harness with even more padding and features. SupAir EVO Harness - Optional harness with a Reserve Pouch that can be added to either side of the harness. This is perhaps the most comfortable PPG harness you will ever experience. Look HERE for more information. Position the ABM Arms (there should be no straps over the arm), then remove the locknut, washer and spring from the bolt on the ABM Arm. 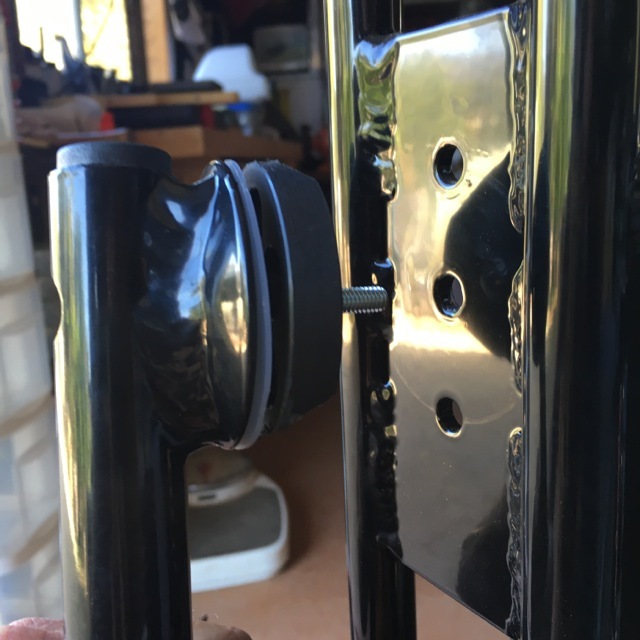 Make sure that the beveled spacer is on the ABM arm and insert it in the middle hole on the side of the Minari Frame. Fasten the ABM Arm using the washer, spring and locknut in that order. Tighten about half of the spring's space between coils to ensure that the spring will hold tension against the arm. Do not tighten all the way down on the spring! If you over tighten this - even once, you will need new springs! 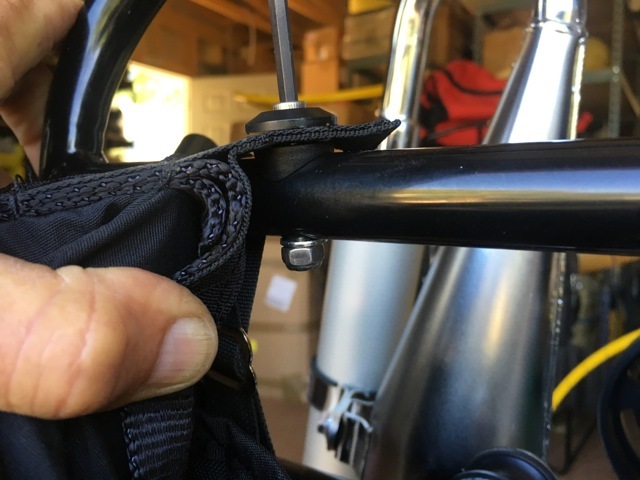 Attach the side straps to the Frame, then attach the lower buckles to the frame under the lower Fuel Tank support with a Lark's Head loop. 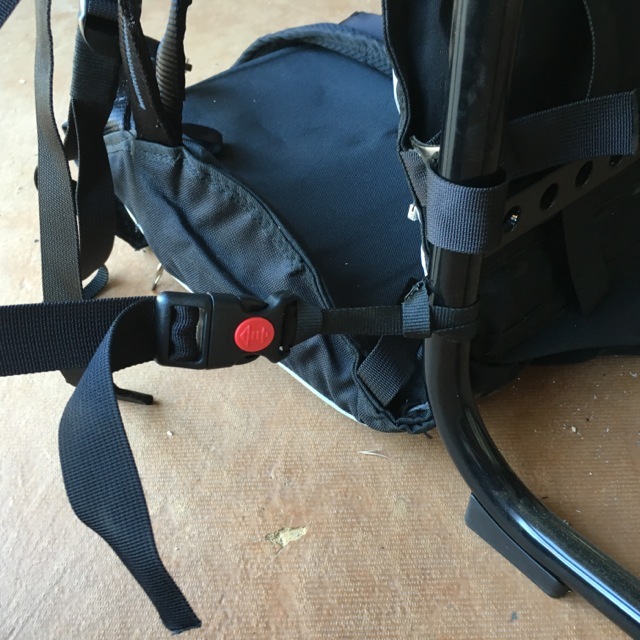 Clip the buckle from the shoulder strap into this. 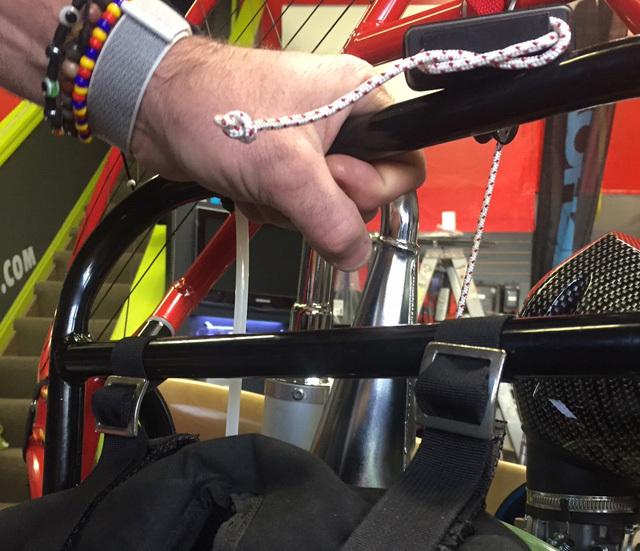 This strap should hold the weight of the paramotor when standing, but without tension during flight. Work with your trusted Minari Dealer and do a good Hang Check before considering flight.